A weekend at the railroad museum! Up close and personal with the big heavy stuff that runs the rails. A chance to operate the engines. And a good time with good friends sitting in the museum parking lot for a weekend. 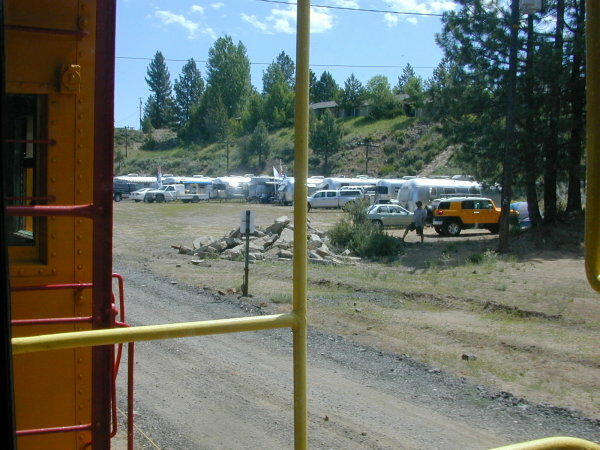 Check out the photo gallery of the SNU rally at the Western Pacific Railroad Museum June 2008. Clint keeps up his skills by drawing cartoons and pictures and sketches. The subject is often his RV experience. The latest one on his memories page shows the SNU rally goers at then end of the rally seeking shade from the shadow of a rig. The morning coffee starts by seeking sunshine to warm up. But after an hour or so, the day starts to warm and the sun starts to get hot so everybody is seeking shade. This is the major exercise activity at SNU rallies, sometimes: chair moving to find the desired temperature profile. The storm that just went through was the one that started all the California fires. The winds from the storm required rolling up the awnings to keep them from departing to the next county without the trailers attached. It was departure morning so there was little incentive to unfurl the awnings again. That meant the available shade was the shadow of the RV. See what Clint saw as folks at the SNU rally tried to relax over coffee before heading back out on the road. 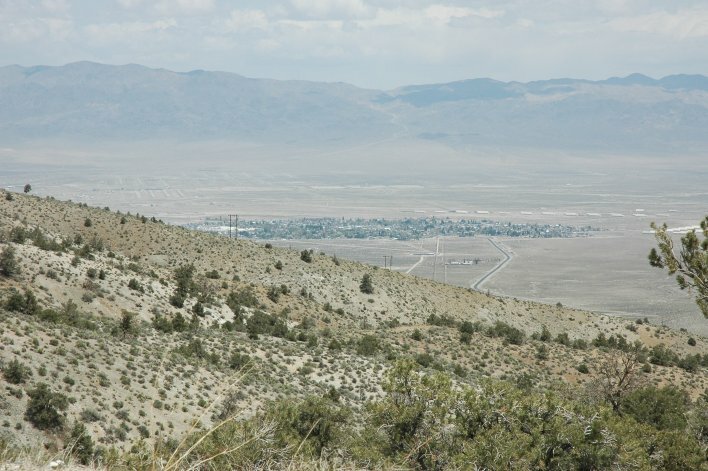 The road from Hawthorne to Bridgeport is very scenic but not one you’d want to take at speed in your usual RV. It is called an NFS developed road which means it is gravel or native surface. Dusty, bumpy, washboards, steep grades, sharp turns, and a lot of history and geology in front of your eyes. From Lucky Boy Pass looking back towards Hawthorne. A complaint that the NFS destroyed the ranch. – American Land Conservancy note on Rosachi Ranch and the Otis Bay ecological project notes.